Texas added more people last year than any other state, according to the U.S. Census Bureau. The bureau looked at data collected from July 2014 to July 2015. Overall, Texas added more than 490,000 people. 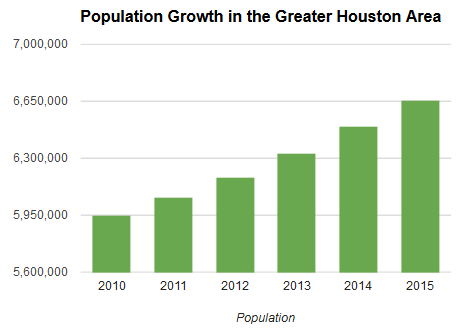 Census Bureau demographer Peter Borsella told the Texas Standard that a portion of that growth is people moving in to Texas from other parts of the nation. “A large portion of the growth in Texas is due to domestic migrating, which is migration from elsewhere in the country,” Borsella said.